Egypt is so thick with important ancient sites that it’s a challenge to visit them all. Spend less time puzzling over the logistics with this two-day guided tour of the Great Pyramids of Giza and Coptic Cairo, including transportation. 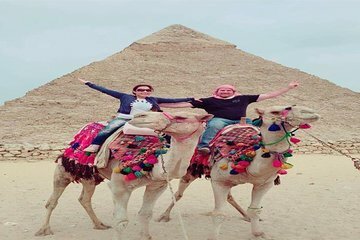 The first day you’ll tour the Giza Pyramids, Sphinx, Saqqara, and Memphis; the second day is dedicated to Coptic Cairo, ending with a stop at a papyrus workshop.